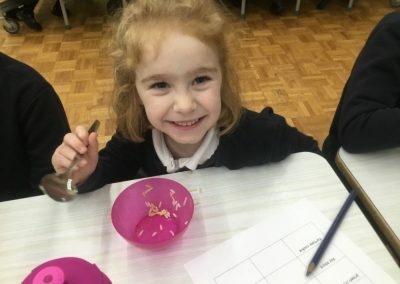 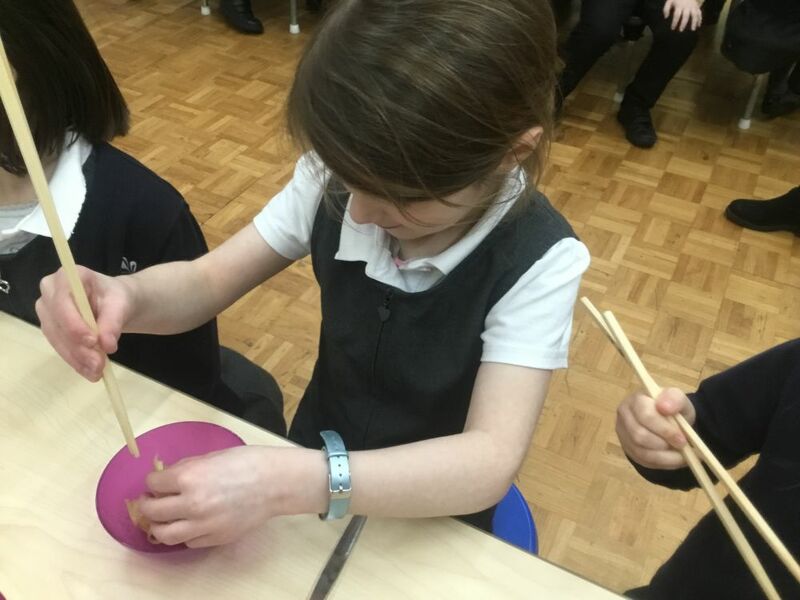 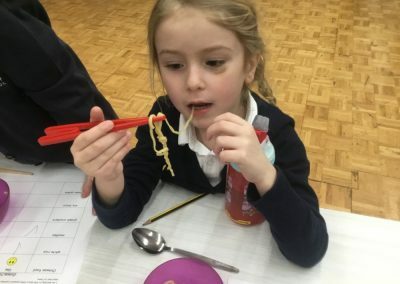 The children have been celebrating the Chinese New Year. 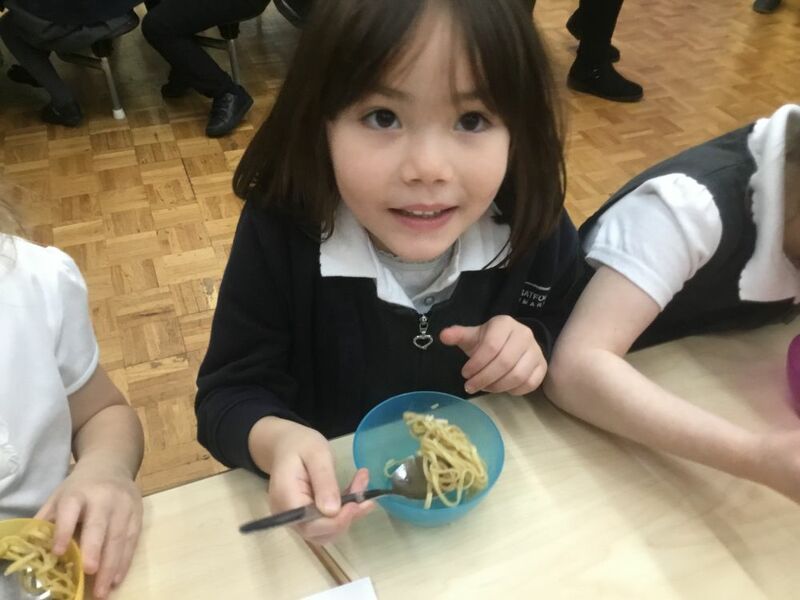 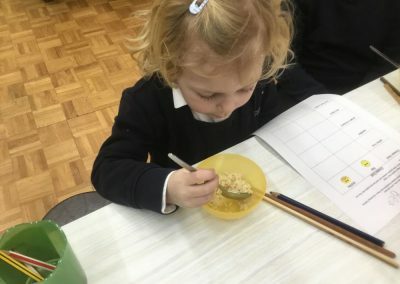 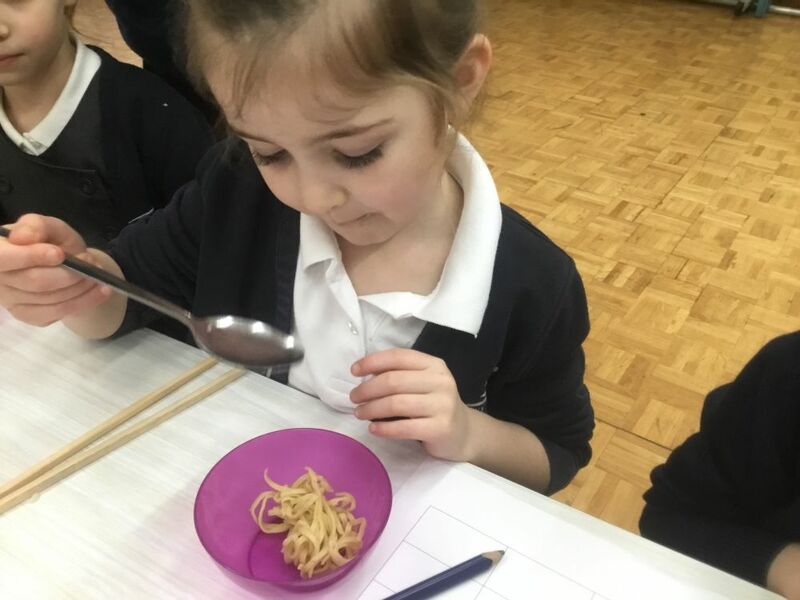 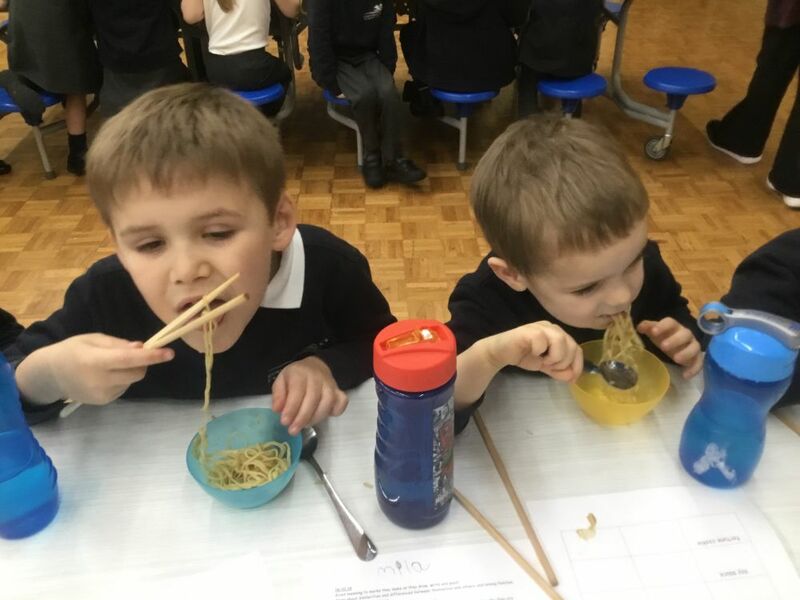 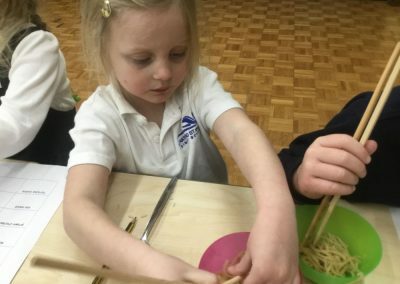 They had the opportunity to taste: white rice, noodles, prawn crackers, fortune cookies and soy sauce. 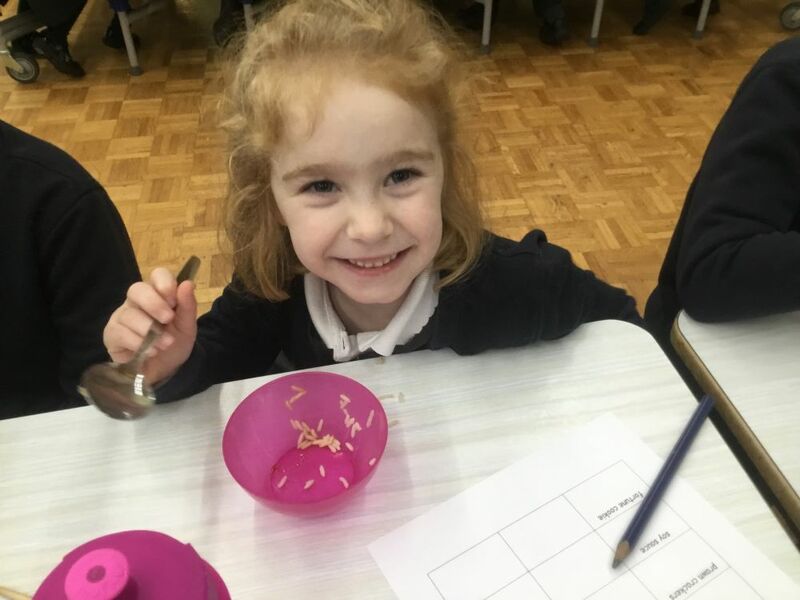 The children recorded their likes and dislikes of Chinese food on a chart and marked the correct box with a tick or a cross. 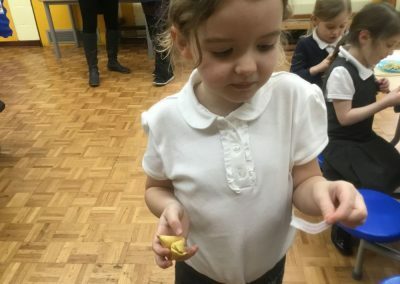 The children were able to tell an adult which foods they liked and disliked. 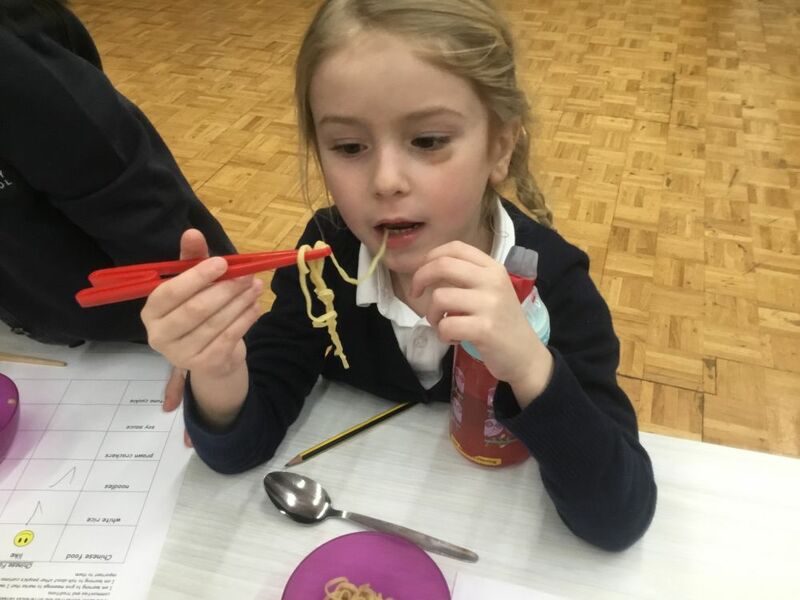 They also had the opportunity to use chopsticks! 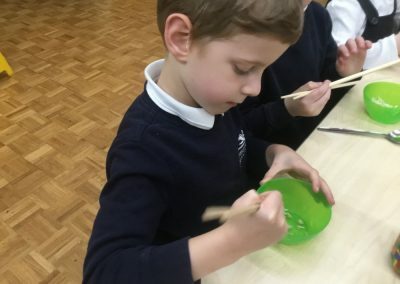 The children have been finding out facts and writing about China. 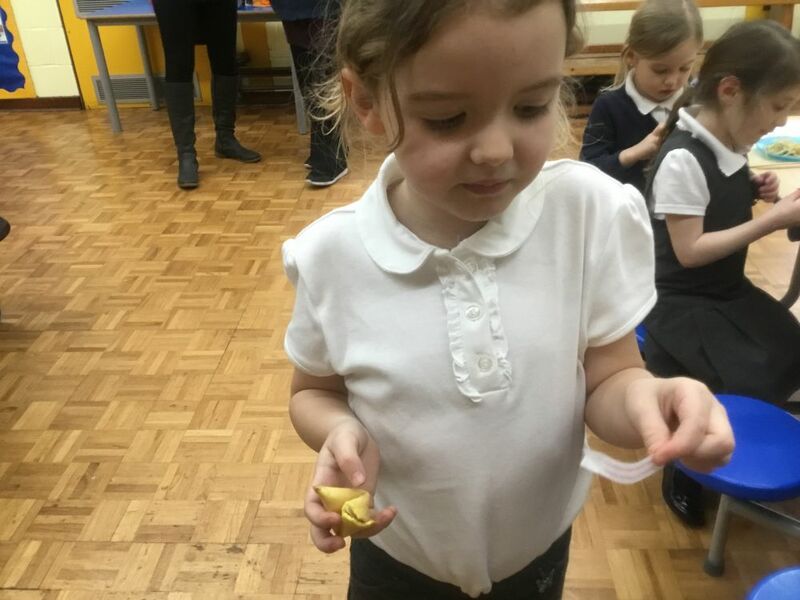 In Maths, the Reception children had their own animal race and were awarded a rosette to show where they finished in the race.